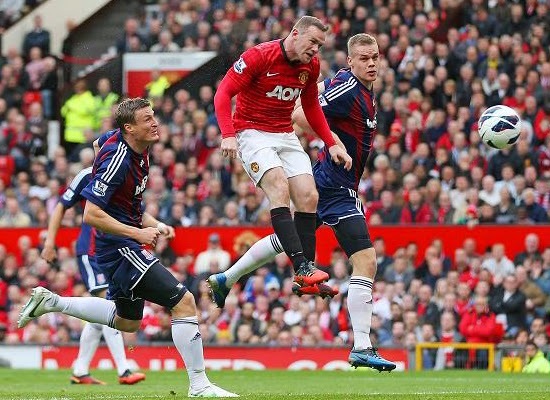 Man Utd (3) : R.V.Persie[43'], W.Rooney[78'], J.Hernandez[80']. 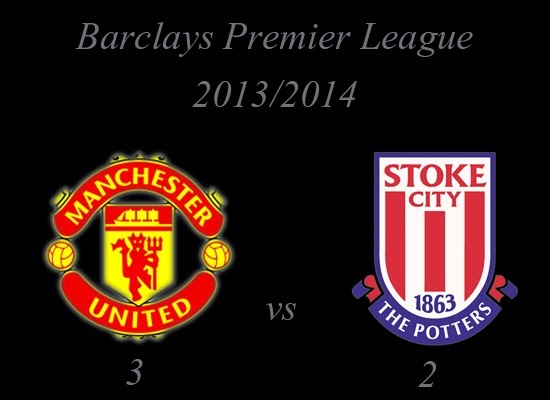 Stoke City (2) : P.Crouch[4'], M.Arnautovic[45']. De Gea; Smalling, Jones, Evans, Evra; Nani, Carrick, Cleverley, Kagawa; Rooney, van Persie. Substitutes : Lindegaard, Rafael, Fellaini, Januzaj, Young, Valencia, Hernandez. Substitutes : Sorensen, Whelan, Jones, Wilson, Adam, Assaidi, Wilkinson. How do you think about Barclays Premier League : Manchester United v Stoke City?